This module is a shield of Arduino UNO. 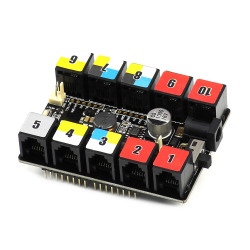 It can turn Arduino pins into Makeblock RJ25 ports. 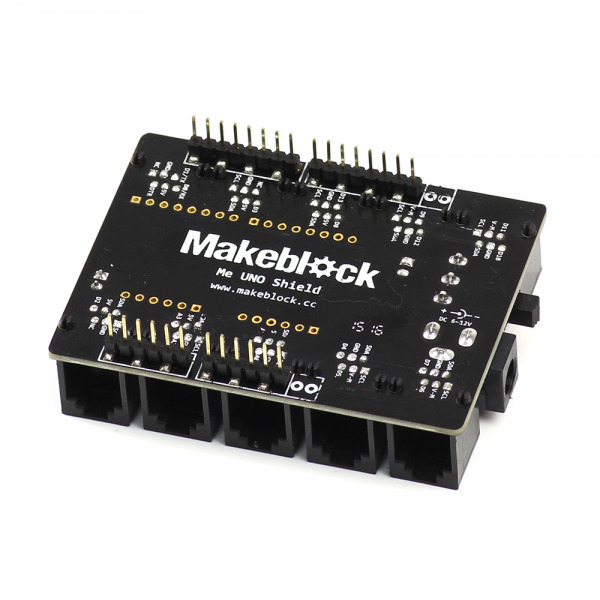 You can connect Arduino UNO with Makeblock electronic modules. This shield provides a stable power, so it can drive many servos and motors.